As a member of the daisy family (Asteraceae), Echinacea, (Scientifically Echinacea purpurea, Echinacea angustifoliia or Echinacea pallida) is known by several common names like Kansas snakeroot, black Sampson, Sampson root, but it is most commonly referred to as purple cone flower. It is grown in the eastern two thirds of North America and Europe. They grow in moist to dry prairies and open wooded areas. It can be taken orally as an herbal tea, or in tincture form. It also be used as an herbal salve. Echinacea purpurea is the type primarily used for research and treatment, however, any of these types of this herb can be used. Long-term use has been linked with side effects and could interfere with anesthesia and certain medications. This herb makes a beautiful addition to a perennial herb or flower garden. This drought resistant perennial herb grows up to 4 foot in height (140 cm). A healthy stand of coneflower will attract goldfinches and butterflies to your garden. It thrives in USDA plant hardiness zones 3-9. These purple petaled flowers with cone-shaped centers bloom in late summer and draws butterflies and then finches when the seed head develops. This herb can be started from plants or it can be started from seed. When starting from seed, it will germinate better if the seeds are cold stratified. Mix the seen in a small amount of sponge damp sawdust, peat moss, or vermiculite. Put inside a small plastic bag or jar so that seeds can remain moist during the stratification process. Put the bag or jar into the refrigerator to keep at the consistent refrigerator temperature (32-34 degrees F) for 30 days. If temperatures outside are likely to remain below 59 degrees during the 30 days, the stratification can occur outdoors rather than in the refrigerator. Prepackaged pre-stratified seed will not need to be chilled in order to germinate. After stratification process is complete, plant at a depth of ¼ inch. The seeds will germinate in about 10 to 30 days at 65 to 70 F and are should be ready to transplant in 30 days. The higher the temperature for both the seed and the seedling, the faster the seeds will germinate and the faster the seedlings will grow. Plant Echinacea in its permanent outdoor location after the last predicted frost in the spring. Stems may be stronger and develop more flower buds when they experience cool temperatures of about 40 F after planting out. This herbaceous plant will grow best in full sun to partial shade. Some shade is idea. Like most plants, Echinacea grows best in pH neutral, well-drained soil. Plant each plant at least 15 inches apart so that air can circulate between them, but no more than 24 inches apart to avoid spindly growth. Though they are drought resistant once established, they will need to be watered regularly throughout their first season. After the first year, avoid excessive watering to help produce better plants and prettier blooms. Echinacea will not need fertilizing, but will benefit from small amounts of organic compost during the early seasonal growth. Removing spent flowers, also known as deadheading keeps the plant blooming and prevents self-seeding. 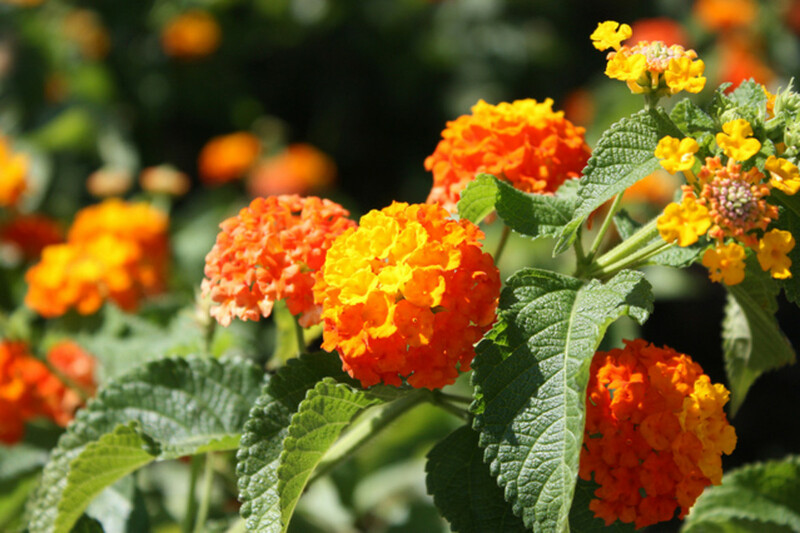 Once established, the plant is easy care and readily self-seeds in place if deadheading is not done. This herb is often used as a treatment for colds, the flu and as well as other respiratory infections.. It boosts the body’s immune system by stimulating immune system cells called macrophages. These cells attack and consume invading organisms including cancer cells. Some people believe that Echinacea promotes the anticancer activity of natural killer cells making it a useful supplement for individuals receiving chemotherapy or radiation treatments. Echinacea can be taken in capsule or liquid form and can be used as a fresh or dried herb make into tea. Most practitioners recommend milligrams per day, but you should not take more than eight weeks. Echinacea can also be applied to the skin. Native Americans used Echinacea before the white man ever came to America. 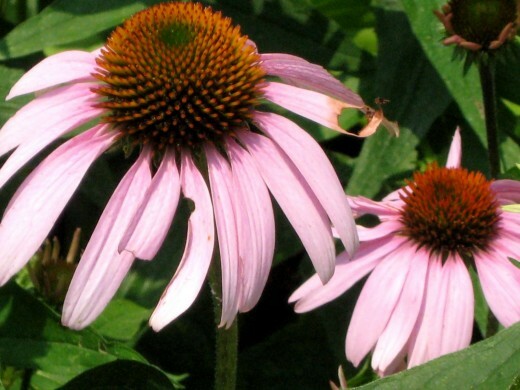 In the 1800s, Echinacea was commonly used as a natural remedy against infections and inflammation.As a topical salve it can be used to treat infections, bites, stings, eczema, psoriasis and other skin problems. Although a few laboratory studies suggest that some chemicals found in Echinacea might increase the activity of certain immune system cells, human studies have generally concluded that Echinacea does not prevent, shorten, or relieve the symptoms of these infections. Some products named as Echinacea products do not contain any Echinacea, and some may actual contain harmful contaminants, so it makes sense to grow your own Echinacea. Also, be sure that you do not use Echinacea more than eight weeks. Also, do not use Echinacea if you are taking medications such as anabolic steroids, amindarone, and chemotherapy drugs methotrexate and ketoconazole. It may also interact with other medications. Individuals with autoimmune diseases such as multiple sclerosis or HIV should not take Echinacea, nor should women who are pregnant or nursing. Side effects from Echinacea are rare; however, some side effects have been noted such as headache, nausea, dizziness, abdominal pain and constipation. Rashes may occur in children. Severe allergies can also occur, but rarely do. These include anaphylactic reactions including itching, swelling of the face or throat, wheezing, and rash. Anyone with allergies to chamomile, ragweed, mugwort, sunflowers, chrysanthemums, asters, dandelions, zinnias, yarrow, sagebrush, tansy or other members of the Asteraceae family should be careful when taking Echinacea. You should report to your physician and pharmacist if you are using Echinacea or any herbal supplements. After Echinacea has bloomed during the second year, you can begin harvesting it for tea. Locate topmost leaves that do not have any brown spots, insect bites and any other blemishes. Then choose flowers from the newest blooms and remove stems completely. Spread out the leaves and flowers on a cookie sheet. Place on a cookie sheet and put on the lowest temperature in the oven to dry. 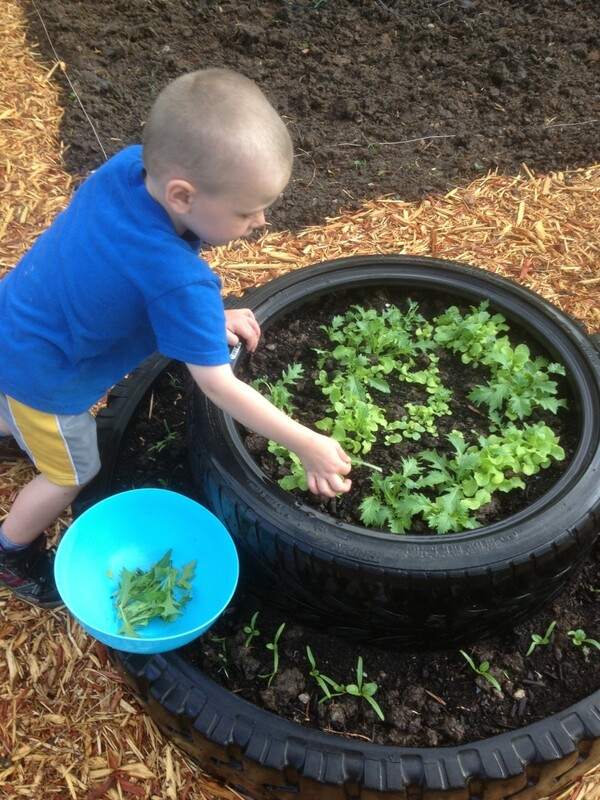 You can also use a dehydrator. If you do not want to use electricity and it is hot outside, you can also dehydrate your herbs in your car. Just be sure to protect the plants from the sunlight. You want the heat, but not the light. Once the Echinacea is dry, put it into a tin or glass jar. You should store your herbal tea in a dark location so that the Echinacea does not lose its potency. In a glass pint jar, place 1/4 cup dried or ½-cup fresh finely chopped or crushed Echinacea flowers and leaves. Fresh Echinacea makes better tincture than dry, so if you have fresh leaves and flowers available, use them instead of dried. Add one cut vodka (60% with dried Echinacea and 80-100% alcohol with fresh Echinacea). Instead of making tincture with leaves or flowers, you can use Echinacea roots. Grind one-cup fresh roots with two cups alcohol and create a pulpy mush. Continue, as you would do with leaves and flowers. Fill jar as completely as possible to keep out air and tightly screw a lid on the jar. To make sure that you know what you have in the jar, label the jar with herb name, date you made it, and the date you expect the tincture to be ready. You should store this in a cool dark cabinet. To use the tincture, at the first sign of a cold or flu symptoms, take ½ to ¾ teaspoons 3-4 times per day. Echinacea will not prevent a cold or the flu. Do not take for more than 8 weeks during a cold season. 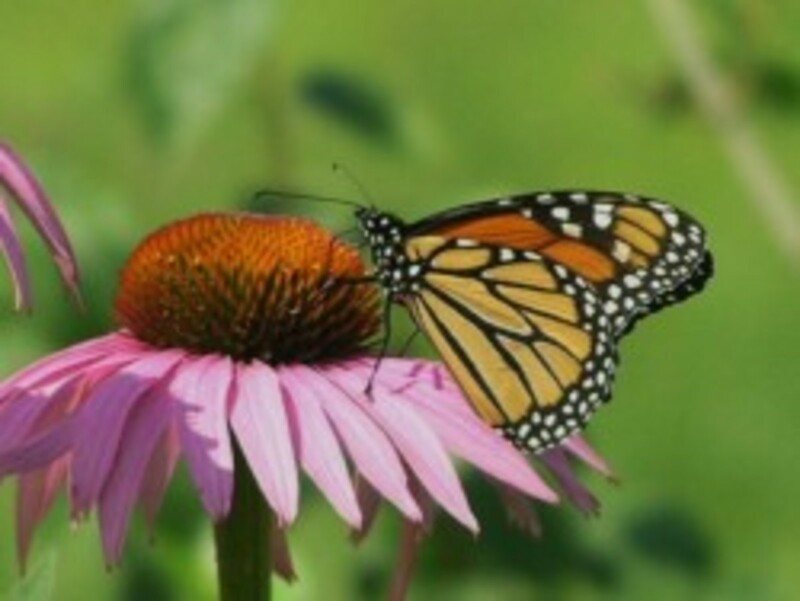 To make an Echinacea salve to use in the treatment of insect bites, grind Echinacea root into a coarse powder until you have a cup of powder. Next,add enough 70% ethanol to dampen the powder and leave it to sit overnight. Blend in three parts fat to one part root powder. If you use olive oil, you can simply add it. If you add a fat that is solid at room temperature such as coconut oil, lard or ghee, melt first at low heat and add it to the powder in the blender. Blend for ten minutes at a high speed, transfer the mixture to a double boiler, and heat it at a low temperature until the alcohol dissipates. This may take 1-2 hours. (Removing all of the alcohol is not critical. A small amount left will act as a preservative. Once the alcohol is removed, filter the mixture though cheesecloth and press the Echinacea infused oil from the Echinacea root powder. Discard the Echinacea root powder. Reheat the oil and add grated bees wax to create the desired consistency. This article is not meant as medical advice. Any medical issues should be addressed by qualified medical personnel. You are welcome, teaches12345! I certainly enjoyed doing the research! Whenever I feel a cold coming on I drink a cup of echinacea tea. It does make a big difference. Thank you for the background on this wonderful plant. Alise-Evon Thank you for you kind comment! It certainly is amazing to discover that many of the health concerns that we have can be treated with herbs from our own backyard. We have echinacea growing wild here- sure is a pretty sight. And it certainly does have many more medicinal uses, as you nicely talked about, than just for colds, as most people only associate the plant with. It's also fun to read about how others make tinctures, salves, etc., as there are interesting little variations amongst all our methods.